Join Heacock Classic and Worldwide Auctioneers at the beautiful La Torretta Resort and Spa for an incredible collector car weekend April 23 and 24, 2016. Held in conjunction with Sunday’s Concours of Texas, the Houston Classic Auction offers around 90 hand-selected automobiles for sale on Saturday at 11:00. Worldwide Auctioneers is unique in having owners who are also chief auctioneers and motorcar specialists, so they are absolutely invested in achieving the best result for you. 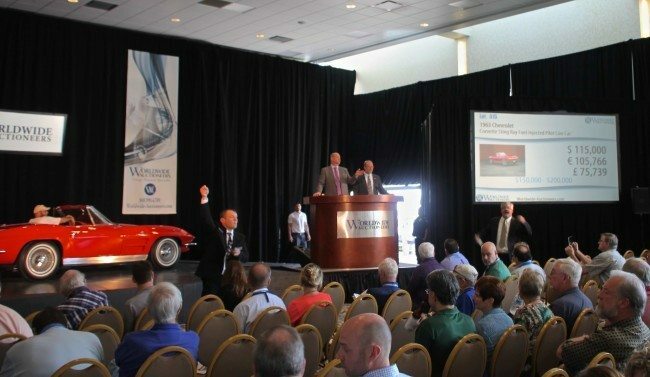 Worldwide auctions are personal, exciting, and no one gets lost in the crowd. Their results speak highly of the quality of their consignments, with over a 90% sell through in 2015. Visit www.worldwide-auctioneers.com for full details.